Jewish Humor Central: A Joke to Start the Week - "She's Out of This World"
A Joke to Start the Week - "She's Out of This World"
Yes, we know it's almost Chanukah. But Monday is Monday, and we have to start the week off with a joke. Otherwise, we know we'll get complaints from our Monday joke fans. So here's another oldie from the archives of Sam Hoffman's Old Jews Telling Jokes. 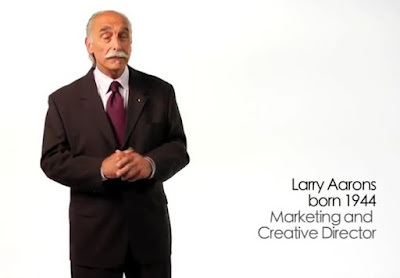 This one is told by Larry Aarons, a Marketing and Creative Director.